I love holiday decoration ideas that can be repurposed for any holiday. Even more I like the idea of having something that you can easily switch out each month. Like a frame with a holiday subway art that you switch out as each holiday passes. 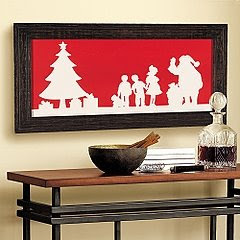 Or a frame with a fun holiday silhouette, like this Easter bunny silhouette, that can hang over the piano and be switched out with other holiday themed silhouettes. 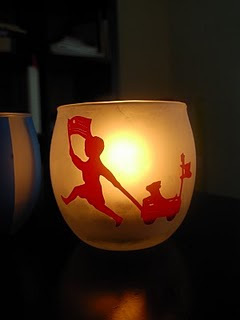 Can't you see these cute patriotic silhouettes for July. And a Santa silhouette for Christmas. 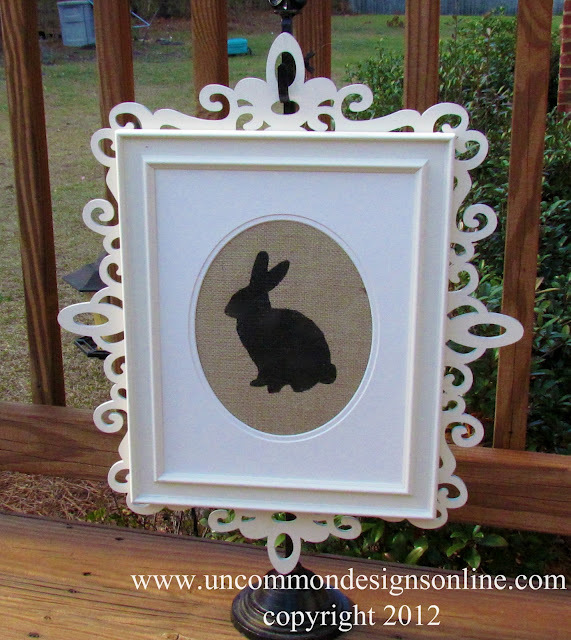 You can check out how to make this burlap Easter silhouette over at Uncommon. I love the bunny!!! Thats so cute. Thanks Lori for showing off our bunny! Love the little candleholder! Have a great week!